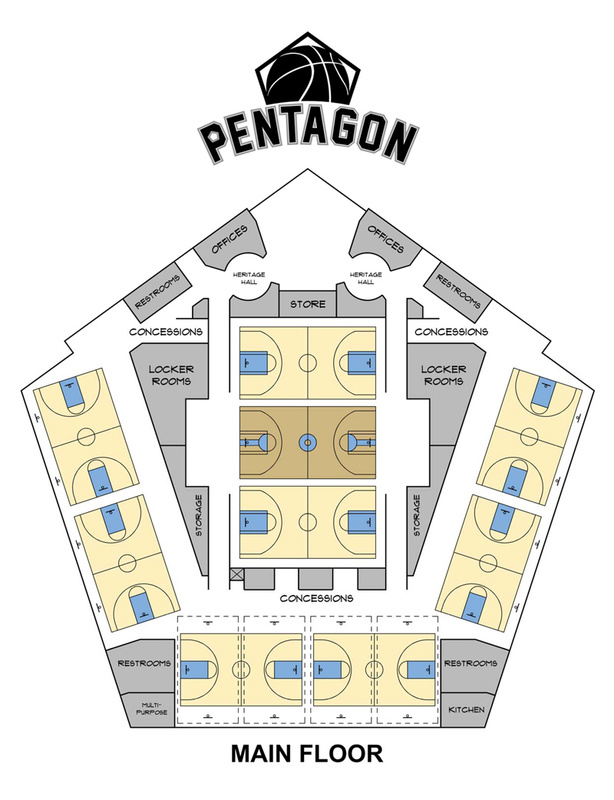 The Pentagon includes nine high school and college length courts, including the Heritage Court and six outer courts. 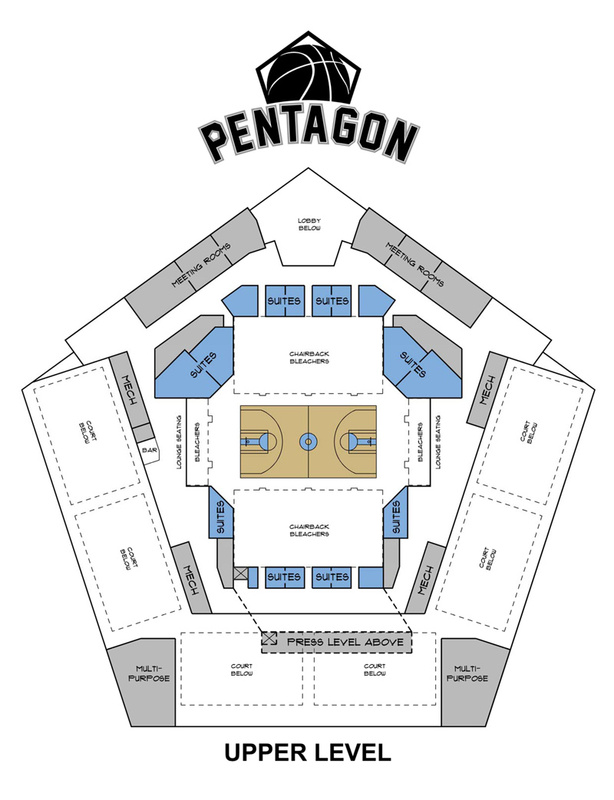 The Heritage Court sits at the center of the Pentagon and is a throwback to the gymnasiums of the 1950s. To learn more about our facilities, please contact us.